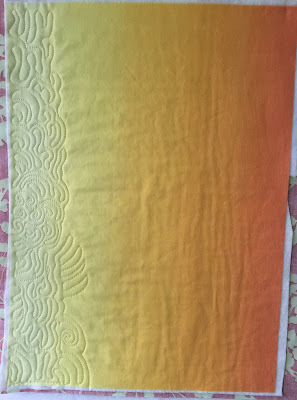 I've made a few art quilts in my nest series that have ombre fabric. I love the look of the colors fading into one another, and think this look is fantastic in clothes and hair too! Its so in style, yet so timeless. Well, maybe not the hair coloring. 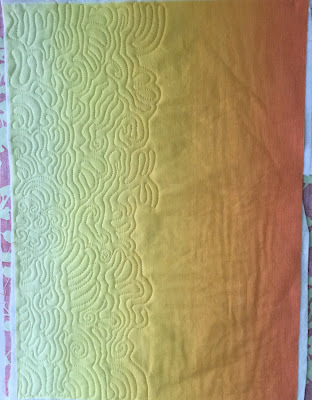 What I wanted to show you in this post is how I use different color threads, and how I merge them together to get that ombre look in my quilting too. 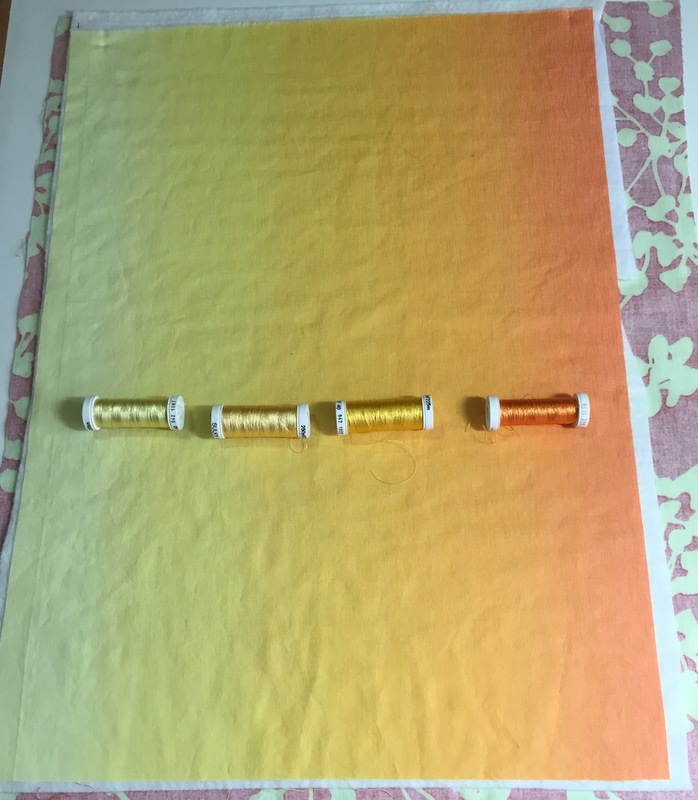 The first picture shows how I match the thread up with the color of the fabric. I have laid out rayon threads, and set them on top of the fabric, sometimes pulling a little bit of the thread to see if it matches close enough. I started with about 6 colors, then narrowed it down to these four. 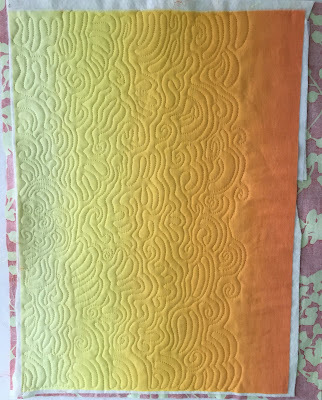 I started with the lightest thread and worked from the left hand side, leaving the edges of the quilting stitches somewhat curvy and covering most of the area that this lightest thread matched. 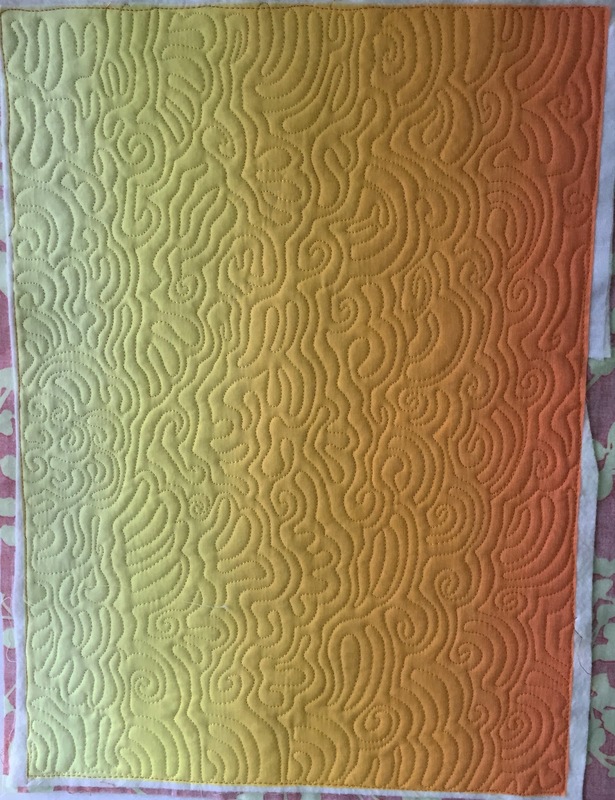 Here is a picture after the lightest yellow thread was quilted. 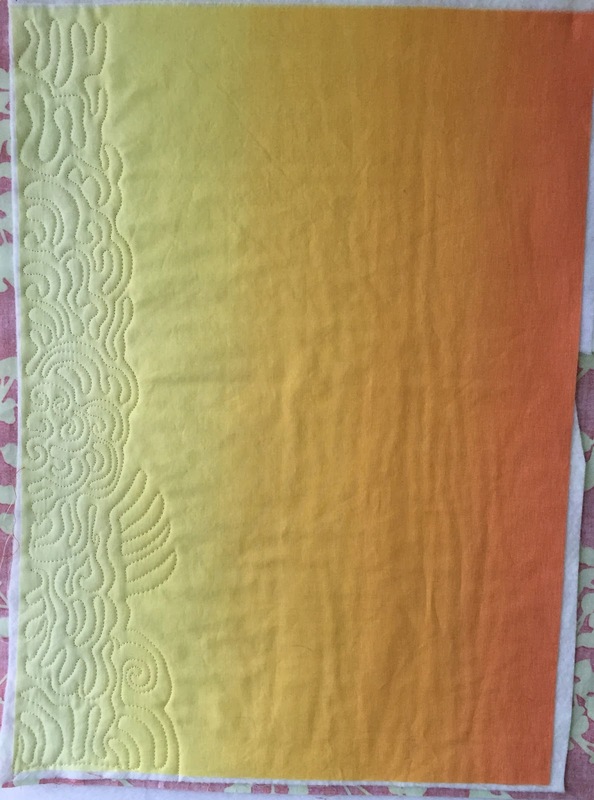 Then I used the next darkest yellow thread and quilted that part of the quilt in the same manner. 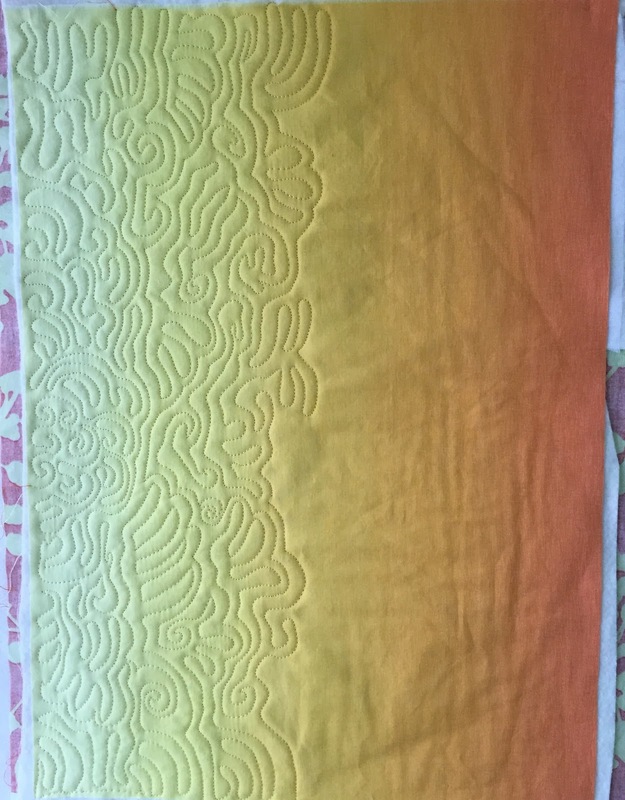 Here is the quilt after the second thread was used. I next stitched with the next darkest thread. Here is the picture showing the progress. 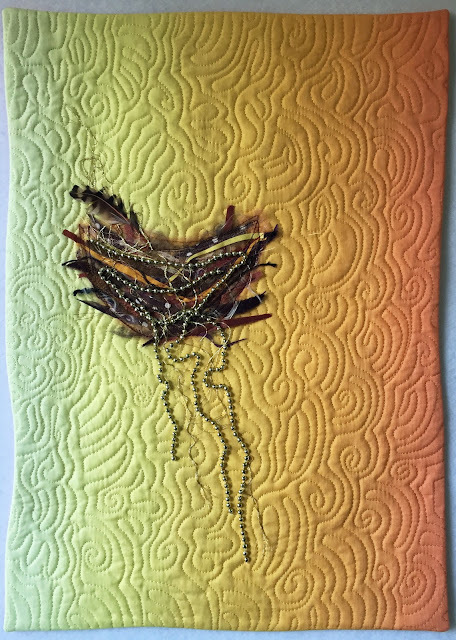 My final stitching was done with the darkest thread, which was the orange. You can see in the picture how these colors have merged together, but also match the fabric, so that I was able to keep that ombre look and feel that I started with. 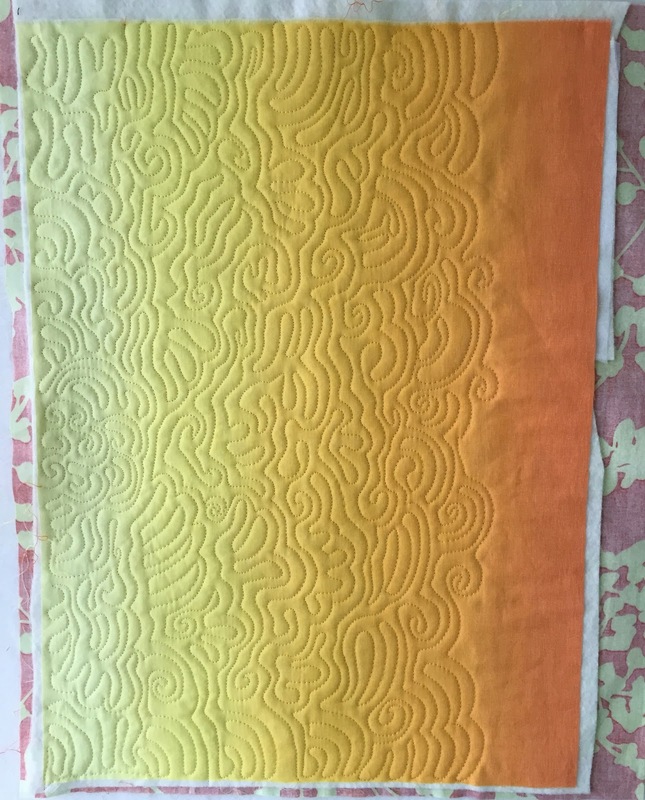 I hope this post helps you on your next quilt. Here is the completed nest art quilt that used this quilted background. I hope you like it! So clever, and such warm colors!